Ever wondered how many render cycles you lost to render "less-than-one-pixel-characters-in-the-far-far-background-of-your-shot" using a full resolution mesh? Too many for sure! Those little guys have wasted too much of your time and it's your turn to rule now: use level of details! 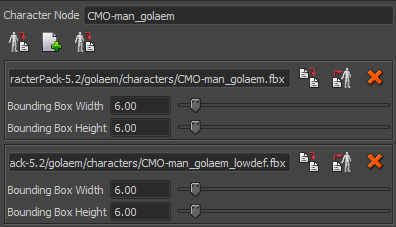 So, how can you deal with LOD characters in Golaem Crowd? First, you need different LOD of a same character (obvious, isn't it? ): try to keep mesh names, shaders, uvs... identical amongst the different versions. 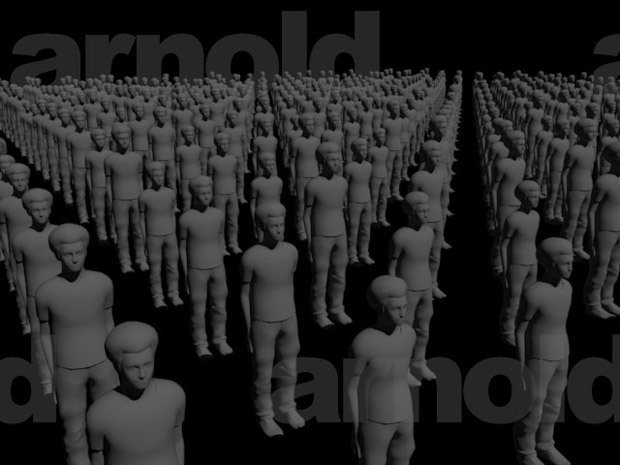 Here is an example of 2 lods of the Character Pack CrowdMan generated in 5 min with the Smooth Mesh tool of Maya. From Golaem 6.4.3, the assets can be configured to switch automatically of geometry, thanks to the new LOD attributes (min distance / max distance) & the distance to the camera. See Asset properties LOD Min/Max Distance section. Both this method and the method below are viable, the min/max distance is faster to setup, but does not allow as much customization. And now it's up to you to decide when / why / where you'd like to use either one or the other thanks to the Geometry behavior and a bunch of triggers. Here's an example based on camera distance. 1/ Configure an EntityType, open its Behavior Editor and create a new Container called LOD. We'll use it to manage the LOD affectattion. 2/ Enter the container and create two Geometry behaviors . Configure one behavior to reference the low definition character and the other with the high definition one. The Geometry behavior is designed to switch / play geometry files whenever you'd like during a simulation. 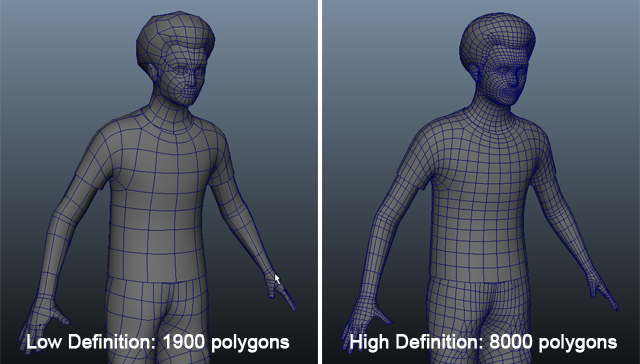 It can also be used to replay secondary animations (baked cloth, facial, blenshapes, spiders...). 3/ Now, let's use the Alternative operator to choose one way or the other depending on the distance. The Alternative operator acts as a "IF condition is true, THEN do this, ELSE do that". You can easily control the behavior of an Alternative operator by selecting it and looking at its Attribute Editor. Notice that the first arrow coming out of the Alternative operator corresponds to the ELSE case and all the next ones will be associated to a trigger (see the little dots included in the arrows). 4/ In the image above, with the default configuration, we have : IF trueTrigger is true THEN use lowDefinition geometry ELSE use highDefinition geometry. Which means that all the characters will have the low definition geometry. Let's change this to make it relative to the distance of each character with the camera. Double Click on the trigger used in the the Alternative Operator to open the Trigger Editor, create a Distance Trigger, rename it distanceToCamera, map a camera node to its In Objects Attribute and set it as root: Following the same mechanism, you can add as many Geometry behavior as you want and deal with a lot of different levels of detail. 5/ You're done! Now you can add your regular behaviors in parrallel with the LOD container and let Golaem Crowd load the correct geometry for you at render time! 6/ Don't forget to save this LOD Container as a template (right click on the Container and "Save as template...") to add it to your custom behaviors and use it in further shots / scenes. Thanks to LOD, the scene polygon count felt from 3millions to 1.6millions and render times reduced by more than 30% for this simple image!